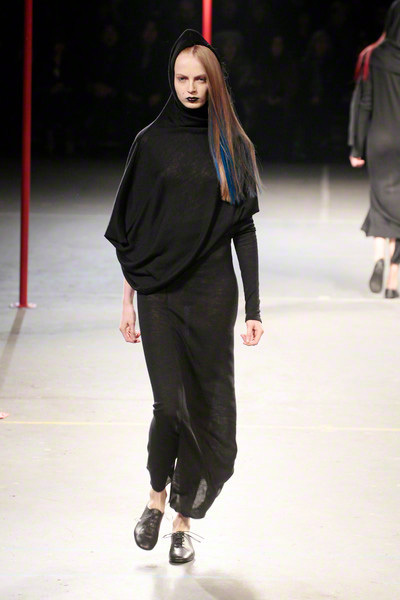 Yes there was plenty of Yamamoto’s signature black, but there was also quite a bit of color. 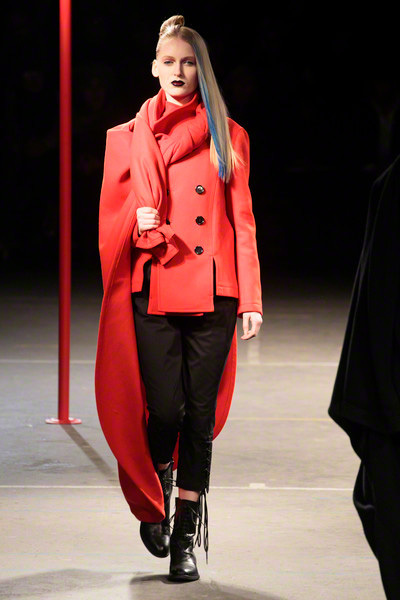 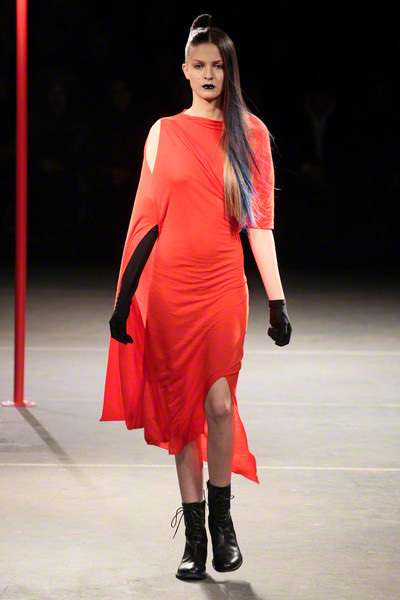 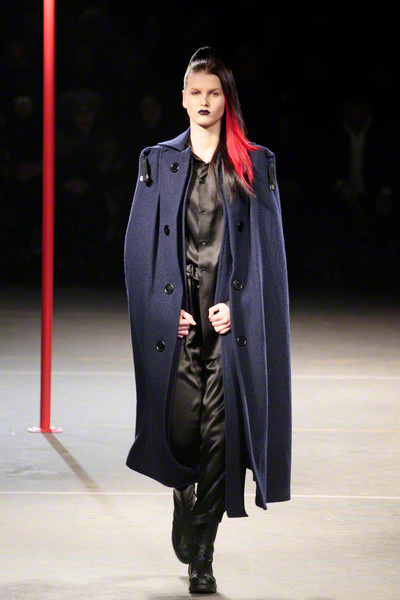 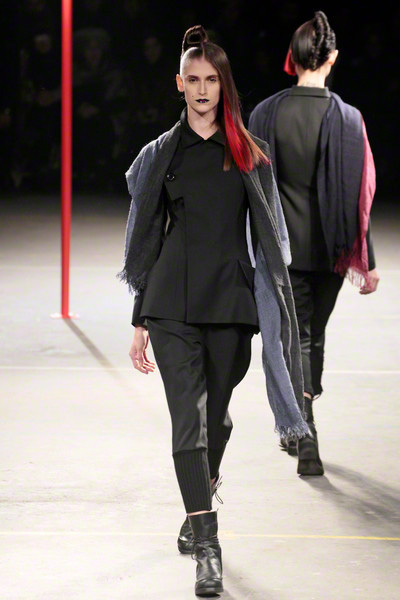 Red and blue accents popped up throughout the whole show, on the clothes but also as a detail in the models’ hair. 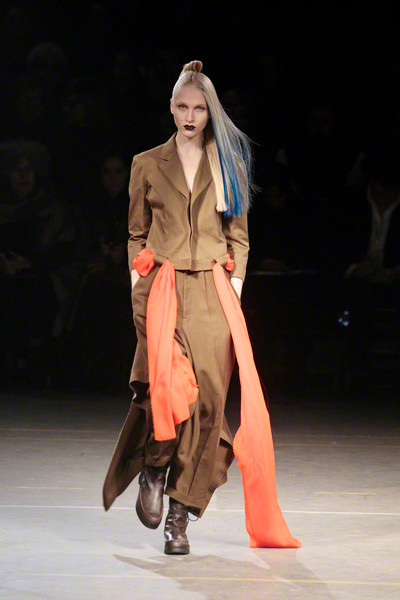 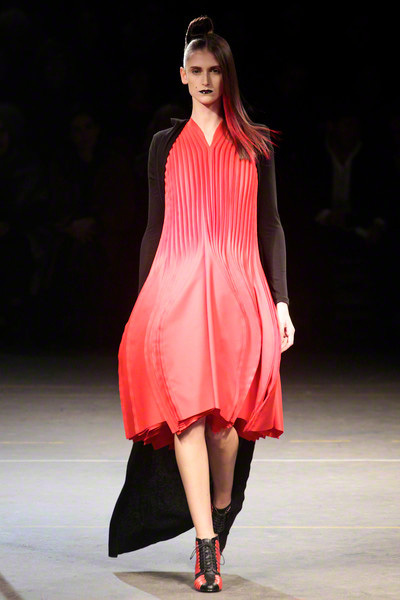 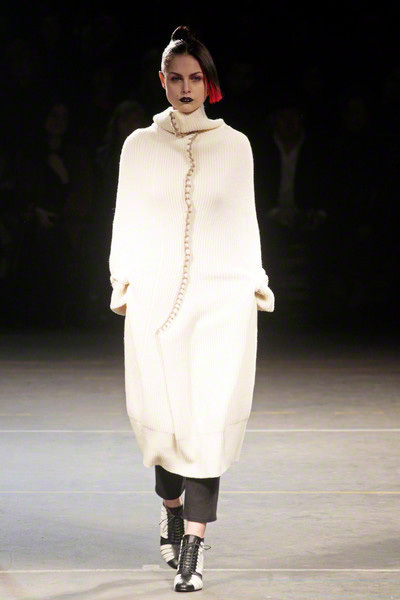 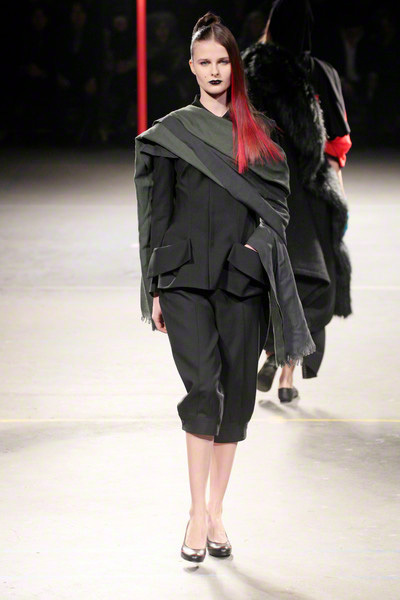 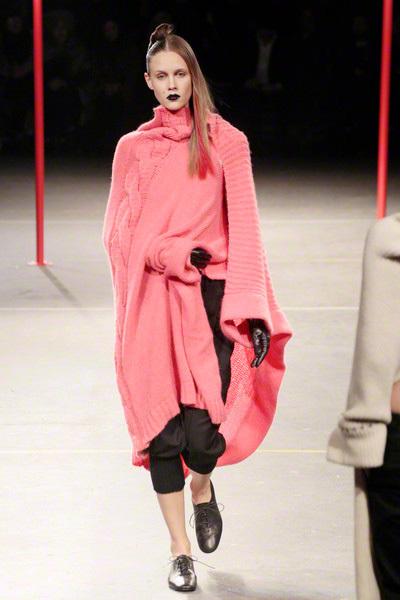 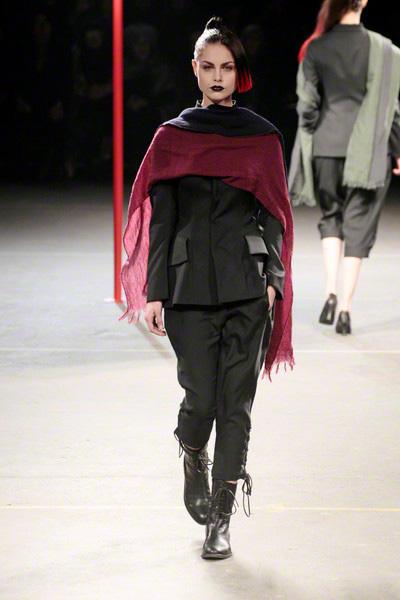 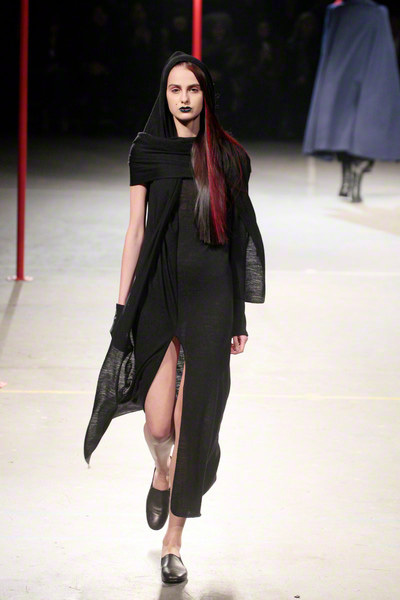 It made up for a vivid show, which felt refreshing for a Yamamoto winter collection. 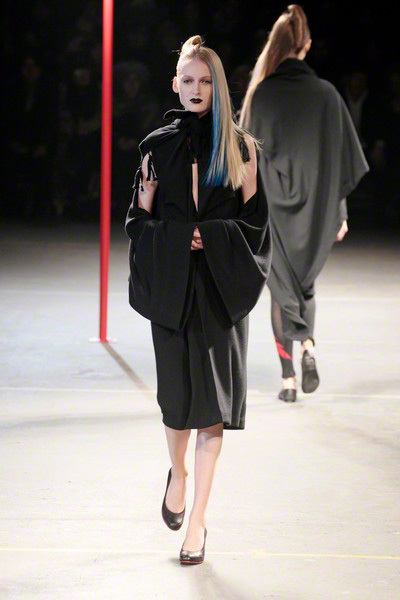 The show was about covering up and revealing as warm winter coats and capes were matched with cut out, asymmetrical draped dresses. 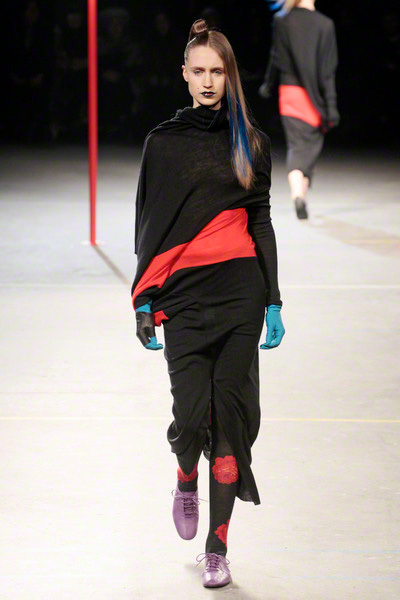 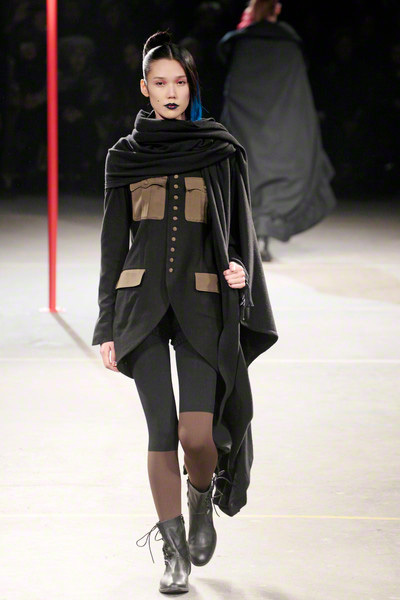 Besides a punky touch (seen through the hair, the boots and the use of color) the collection had a sporty vibe as well (visible through the jersey fabrics, the duo colored leggings and the fingerless tassled ?! 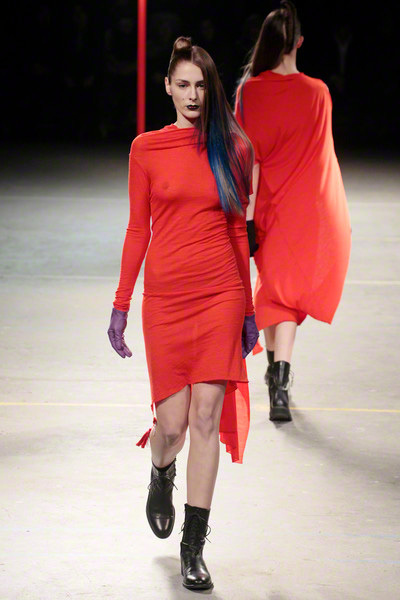 gloves). 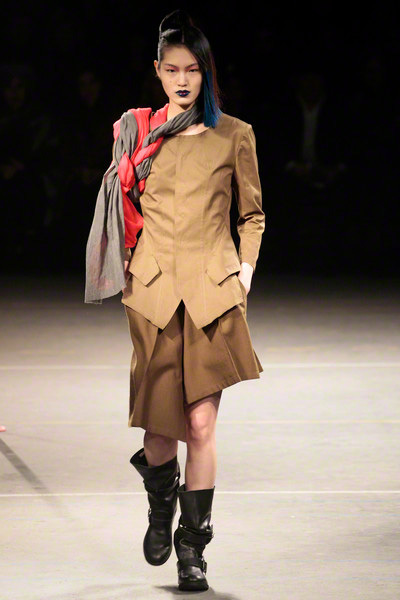 Whether heading to the gym or on your way to a nice dinner; these Yamamoto designs will definitely make you stand out. 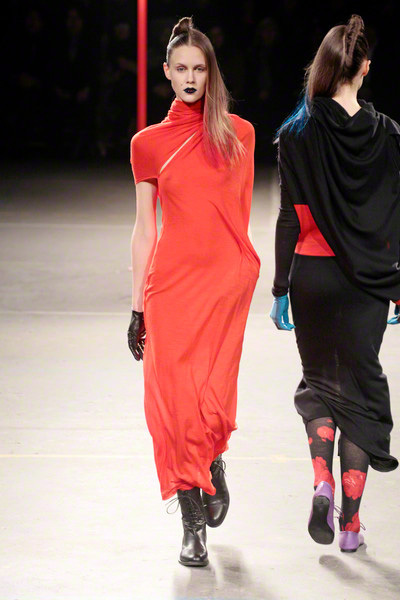 And if not, you can always tie and twist some colorful scarfs around your body for that extra showstopping effect.